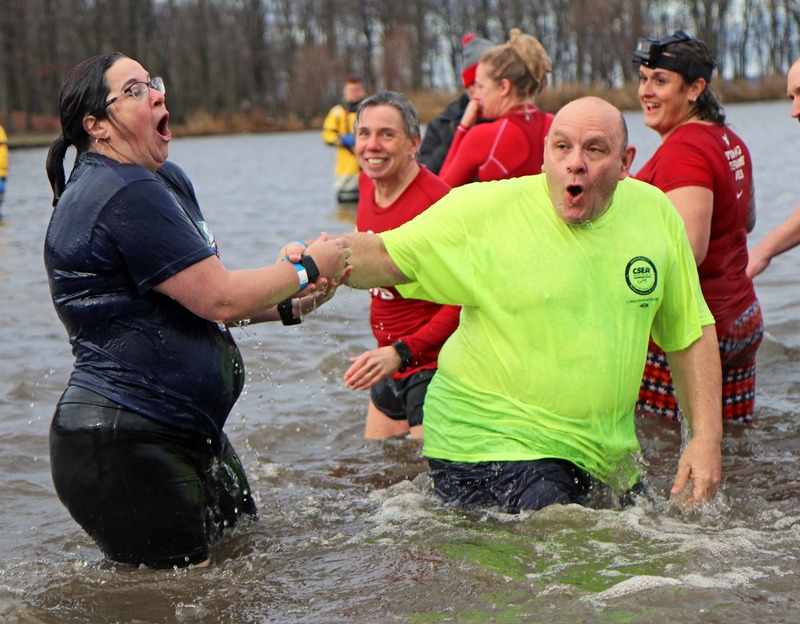 The CSEA “Polar Peeps” Team takes the plunge into icy cold Oneida Lake outside of Syracuse raising money for Special Olympics. Among the plungers are Central Region President Ken Greenleaf, Executive Vice President Casey Walpole, and 1st Vice President John Brown. Onondaga County Library Unit President Valarie Massulik and Central Region President Ken Greenleaf after plunging all the way in Oneida Lake.